After a period of closure to allow fishery work to be undertaken we are delighted to announce that Hobby Lake is to re-open on Friday 1st March. Hobby Lake is reserved for private bookings for groups of up to four anglers (limit of 4 fish per angler) and the cost of hiring the whole lake in exclusivity is £375 per day, with additional rods charged at £85. 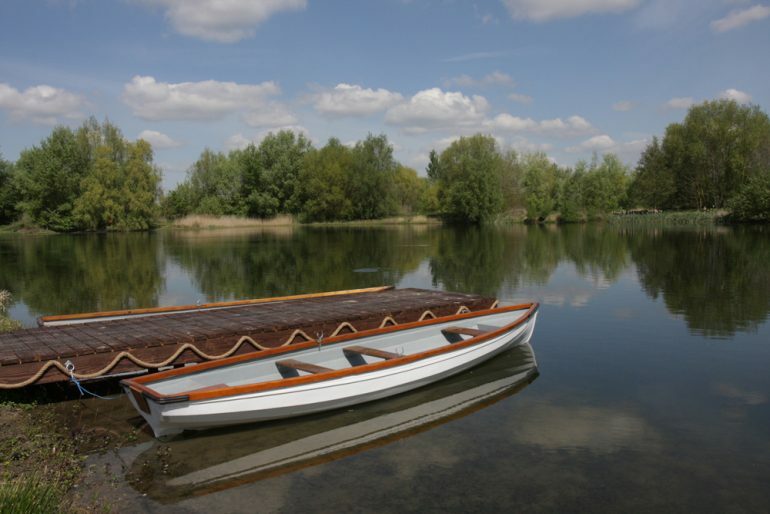 Two boats are provided to ensure you get the most from the venue as the lake does have shallow margins, but bank angling is permitted and will account for plenty of fish too. We regret that catch and release fishing is no longer permitted on the lake but if you do not wish to take your fresh home with you on the day we have an arrangement with a local smokery – just ask the fishery team for details when you make your booking.